This semi-upright series is the first line of forms that Joe Meder sculpted for Tom Powell Supply. With this line Joe's objective was to create a prime mature rutting deer that would display all of these qualities without sacrificing a good skin fit. 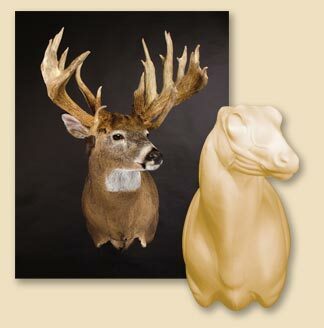 Many taxidermists tell us this is the most realistic and best fitting form they have ever used. Joe built his reputation by winning state, national and world titles. Then he went on to teach others his techniques. 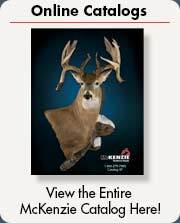 The Joe Meder Taxidermy Classes will help you reach your full potential in taxidermy. A Free McKenzie hanger is included. 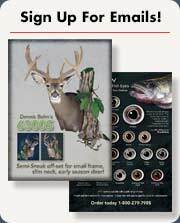 Turn your mount from ordinary to extraordinary with our premium quality Whitetail glass eyes and a McKenzie Wall Habitat®.